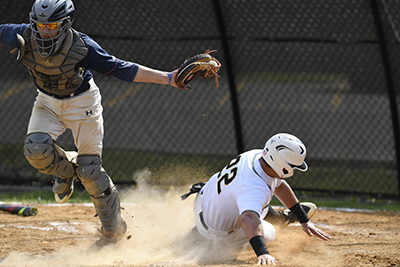 Last week the 2018 Shore Conference Tournament got underway for high school baseball. The Golden Falcons of Monmouth Regional received the 13 seed and hosted the 20 seed Lions of Lacey. Monmouth Regional is only one of the two local teams in The Link News coverage area that qualified for the tournament. Red Bank Catholic entered the SCT as the third seed out of the 28 teams from Monmouth and Ocean counties. Last week only one day had no rain, and that was May 15, a perfect day for baseball at one of the nicest stadiums in the Shore Conference. 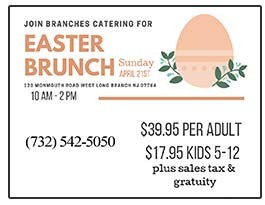 Monmouth Regional’s grass is perfectly cut and manicured, they have a specialized baseball scoreboard going inning by inning and a separate pitch count scoreboard. Another big plus is the choice of music that is played. 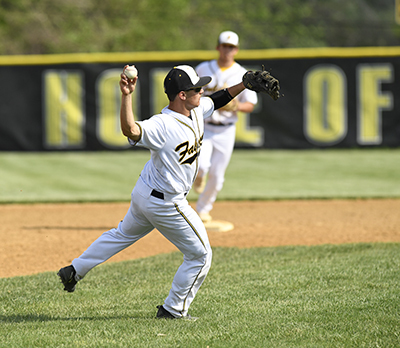 The Lions looked as if they were going to spoil the afternoon as they scored the first run of the game in the top of the first inning off a sacrifice fly. Monmouth Regional didn’t waste any time getting on the scoreboard and in the bottom of the first inning they put up five runs. Ricky Voss had an RBI double, a sacrifice fly by Mike Faletti, an RBI single by Liam Kile, and a two RBI double by Charlie Kelly, who just missed a home run when his shot hit the yellow on top of the fence in center field then bounced back into play. Bottom of the second inning the Falcons added three additional runs. Voss had a sacrifice fly and a two-run homerun by Mike Faletti. Lacey then added one more run in the top of third. Monmouth Regional came right back and scored five more runs in the bottom of that inning. The Falcons had two homeruns in the bottom of the third, the first was a two run homer by Kelly and a three run homer by Faletti. Monmouth Regional added their last run of the game in the bottom of the fourth off a sacrifice fly by Kelly. In the top of the fifth inning the Lions had a solo homerun, but it was not enough to continue the game. 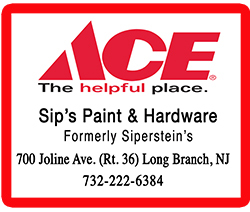 NJSIAA rules say if a team has a 10 or more run advantage over an opponent after five innings the game is over, and that is what happened here as the Falcons won 14-3. With the win the Falcons advanced to the quarterfinals of the tournament and will face fourth seed Jackson Liberty. The game has been postponed a few times as a result of the bad weather last week. 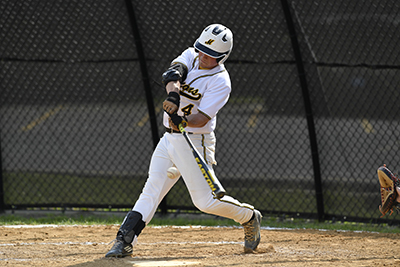 Getting his barrel on the ball is Justin Scotto of Monmouth Regional during the opening round of the 2018 Shore Conference Tournament. 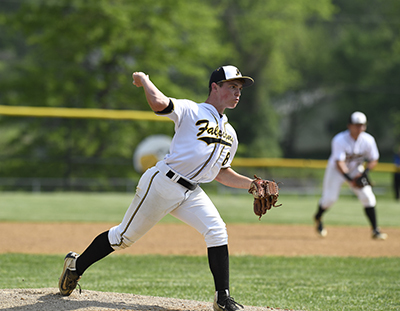 Sterns Trailer has chosen Monmouth Regional’s Pitcher Charlie Kelly as their Athlete of the Week. Kelly was given the ball to the start the Shore Conference Tournament. He threw 74 pitches struck out four and went 2-for-2 at the plate with a homerun. Making a great stop and throw from third is Anthony Guarino of Monmouth Regional.